It was one of those lucky days when airline companies run promo fares and you're fortunate enough to be able to book a flight. There are times when the excitement to be in a foreign land is dampened by apprehensions and questions especially if it's your first time to travel. I sure can relate because when I first travel abroad, Google was my best-friend and I was anxious to know everything that I need in order to prepare. If there's one thing I don't like, it's facing the unknown without the proper ammo on my end. For safety reasons, make it a habit to photocopy all travel documents such as your passport, visa, etc. Place it in a separate luggage so that you'll always have a back up even if you lose one of your bags. Aside from that, scan all your travel documents and send it to yourself, to a trusted friend, or to any family member. C'mon it's a digital world! I also take a picture of my passport before going through the immigration process. It pays to be always prepared. Bring the basic over the counter pills for headache, stomach pains, fever, diarrhea, etc. You don't have to bring the entire medicine kit but you'll never know when you're going to need one. Aside from that, some countries require certain vaccinations so make sure to check your destination country in advance on their health requirements. Check out the exchange rate before your travel date. With more research, you can save a few dollars (or more) when you make the critical decision on where to convert your money. Rule of thumb: Always bring local currency. While credit cards are convenient, not every place accepts them. Personally, I always bring with me extra US Dollars for those "just-in-case" moments. It's universal so wherever you may go, you can never go wrong exchanging with a USD. Always check with your local bank days or weeks before your travel date. You don't want to be stuck with no cash in an ATM machine only to find out that your card is blocked. Call your local bank to inform them of your travel plans to make sure that you can use your ATM and credit card abroad. Be weary in using your credit card abroad as well since the price of convenience can be 10x more expensive. In a world of modern technology, it's hard to survive in a foreign land without a means of communication. Modern apps can be very helpful especially when you're lost or confused on which way to go. Thus, in order to be connected at all times, always bring a travel adapter. 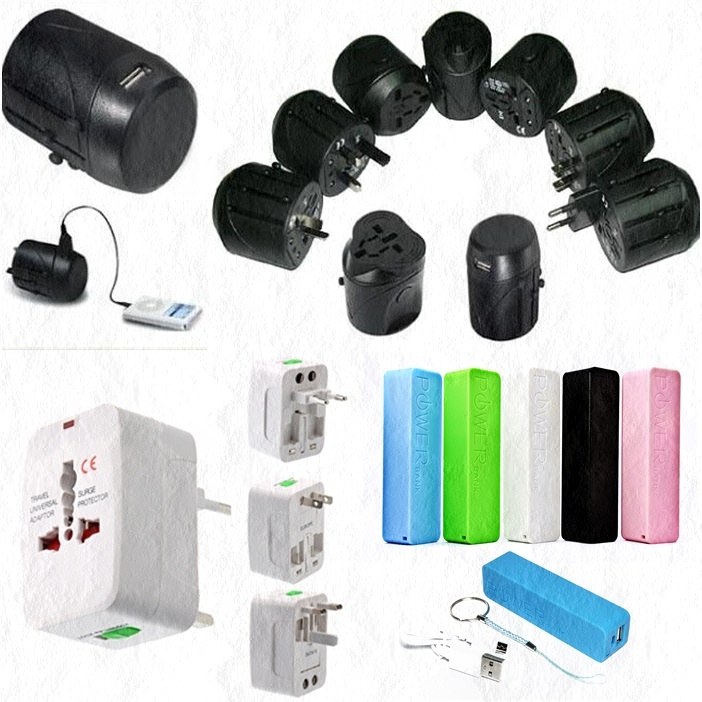 Take note however that each country may have different size plugs and voltage so to save on the cost of buying separate adapters for each country, buy just 1 universal adapter. This is something you also need to research in advance. Powerbanks come in handy as well. 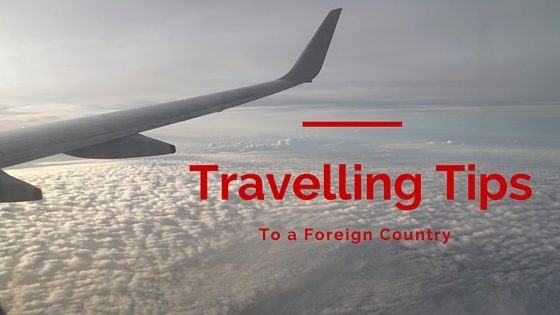 Set up your mobile phone's global capabilities before travelling abroad. You want to avoid super expensive roaming charges. You're in a foreign land. While trying out their local cuisine is exciting, you'll never know when the next perfect place to eat will come along. Bringing small snacks or candies are helpful to for you to get by. Always bring your passport with you at all times. Keep your passport in a safe place, probably in a secure pouch placed inside your bag. It adds a security feature against pick-pockets. Stash your cash in different places. Never put them all in your wallet. Imagine what you will do if your wallet gets stolen. It's extremely hard to survive in foreign land without money. Travelling is a fun and priceless experience. Don't throw away caution, use your common sense, and always be alert. Travel documents, money, and gadgets are definitely important especially when it's a different country. Thanks for sharing these tips, they are really helpful. useful tips for a newbie traveller, no doubt! but i wonder if usd is really universal? it is preferred over local currency in some SEA places I've visited, but I do believe not all countries will accept USD readily. These list are great. When I first traveled. I had to google the places I will visit and prices and all. Yah, for first timer dont forget to bring adapter because different country have different kind of plug. I always bring a universal charger around. It is really important to have. Medicines are a must too. You never know what you get. For longer trips, it might be best to consider an insurance. You will never know what can happen. Also do not underestimate the power of research. It's always better to be prepared than sorry. Even for a seasoned traveller, your tips will come in very handy. All these tips are useful for anyone who is travelling! Not just those who are travelling for the first time! Data roaming which was non-existent 5 years ago is like so important now! Ooooh, we have the same list except for the medicine, we don't get sick due to our healthy lifestyle and haven't had meds for decades now. I always add a travel book about the country and city we go to as well, just in case! Smart phones with GPS and a powerbank too! I get paranoid at times (especially when it comes to my passport) when I'm on foreign soil and that still hold true even if I've been traveling out of the country for several years now. Your passport is really important and as much as possible always keep it with you. Ahhh... Electronics. The most important thing in modern travelling! You can easily buy the clothes you forget to bring, but not your phone or camera. 1. Check if the tap water at your destination is portable. If not, please, do prepared with bottled water the whole trip - being sick in a foreign place will not be fun. Be safe and smart. Know that pickpockets are very common. Try to avoid wearing a backpack with your valuables and keep your things out of your back pockets.Cross body bags are best to carry while traveling, in my opinion.